At last! 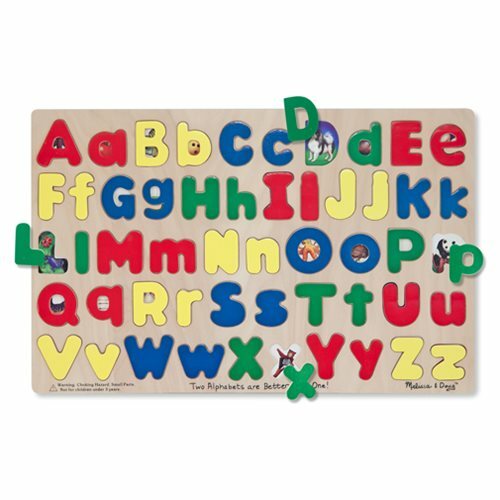 A wooden alphabet puzzle that has upper and lower case versions of each letter. Complete the puzzle by matching the name of the picture to its sound and the shape of the letter to its space. 52 letters for spelling, puzzling and stenciling fun. Ages 4 and up.